Burnout Revenge (Microsoft Xbox, 2005) CIB COMPLETE! WORKS GREAT! Burnout: Revenge (Microsoft Xbox, 2005) Original Release Complete LN Mint! Burnout Revenge (Microsoft Xbox, 2005) - Great Shape! 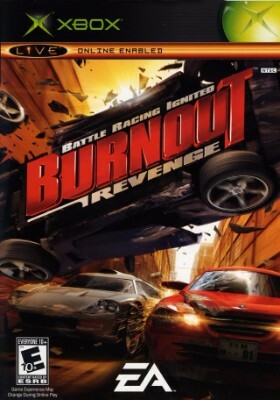 Burnout Revenge (Microsoft Xbox) DISC IS PERFECT!! BURNOUT REVENGE Microsoft XBox COMPLETE Tested VERY NICE Works Great FREE S/H!! !